Title: Second Lower Merion Senior High School. Built 1910. Abstract: Second Lower Merion Senior High School, 245 E. Montgomery Ave., Ardmore, was built of granite and limestone in 1910. 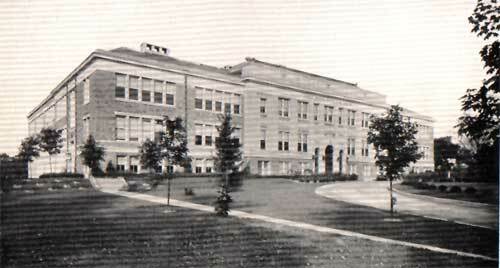 The high school was demolished in 1963 when the present building was built on the same site. Photo taken c. 1928. Source: Lower Merion Township School District Directory, 1939-1940.